Can you recommend an excellent driver and guide (or driver can double up as a guide) for December 2017. We are a family of six. We would need a driver to drive us around Havana. Then take us to Trinidad and en route stop for sightseeing. We will be Cuba for 7 days. So the driver should pick us up at the airport and be at our disposal for all the days we are there. This should include taking us to dinners etc. Hi, I can find a driver for you. It’s a bit early to confirm things with the driver since December is still many months away. But fundamentally, your request is a very easy one. I will tell you that you should not be worried at all about this request. Now, for 6 people, you will need a minivan. Those are a bit harder to get in Cuba because those large vehicles are rare, but still, we should be able to find you a driver who can meet your needs. But, I have some advice for you which will save you a lot of money. Havana is a small city and there are thousands of taxi drivers on all major streets at all times of the day. 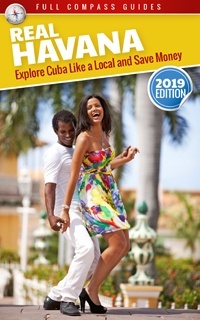 Let’s say you want to go for dinner one evening and want to get from your apartment in Vedado to a restaurant in Old Havana (distance of 3km). You could just walk out to any street and hail a taxi (or 2) to take your group to that restaurant. And the cost would likely be about 10cuc per taxi or less. If you reserve a taxi driver for the whole day so that he is always at your personal service, it will cost a lot. Like probably 130 cuc to 150 cuc per day. I doubt you would be able to use him that much to make it worthwhile. Furthermore, if you use the driver to go on long distance trips, you would have to pay the drivers daily rate, plus his gas, plus his lodging in the new town where he brings you. It will end up being more expensive than just hiring a taxi on a per trip basis. But anyway, if money is not an issue, then of course, I can find you a personal driver who can take care of your group and do whatever you need. Also note that I take no commission for this. I give you the drivers contact and info, but you would have to work out the details of the rates with him directly. I will give you a general idea of his costs, but for particular trip and small details, you would have to discuss with him directly. I will send you a personal message to your email with some details. I need a car with an English speaking local driver for touring Cuba for 2 passengers in the month of January 2018. Hi, which towns/cities will you visit? Which city are you starting from? Do you want the driver full time? Most people just use drivers to get from one city to the other. This is the cheapest option. If you want a full time driver to be at your side for your whole trip, it will be much more expensive. 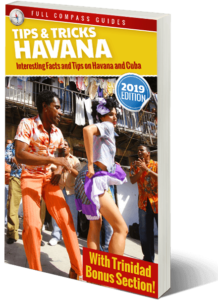 We’ll be in Havana in February and want to go out to Playa Larga – Playa Giron regoin for a day trip. Could you recommend a company/ tour operator who does good trips there and advise on the price of such a tour? Or would that be better to hire a taxi for that tour and ask the driver to guide us around? How much would be this latter? Please look at the following link. We can organize a driver for you for about 110cuc for a carload of passengers. Or, you can ask a driver in Havana to take you. The prices should be similar. Playa Larga and Giron are small places. You won’t need a bit tour. There is an alligator ranch and a nature reserve beside the town. The town also has a small beach. Other than that, there is not much else for a tour. Oh! Thanks for the info. As you wrote that down does not look a very inviting place. I have read about a lake with flamingos, and an Indian village, a Bay of Pigs museum (about the American invasion) and a “beautiful” snorkeling spot something buena or buleta, that claimed to be one of the best snorkeling destinations in Cuba … Actually those would have been the aim to go there, not the alligator farm. How about those? Are those exist at all? Hi, the nature reserve has the flamingos and the Indian Village. The flamingos are not always there. They only use the lake during their nesting period. I visited all these places last February. I did not see any flamingos. I went to the Indian village too. It is very small. It is interesting, but not a big attraction. The alligator farm is all on the same place. The Bay of Pigs has a museum. It is ok. But note that the town is very small. There is not much there. There is snorkeling all around the bay. There are many people in Playa Larga and Bay of Pigs who offer independent snorkeling tours and there is a dive club. Again, I have been and it is ok, but if you are a professional snorkeler you will find it below average. For an amateur (like myself) it is ok. It is not expensive to go to this place. Hi Steve, I’m not sure I have your email. If you want, contact my team in Havana at casas.bestcubaguide@gmail.com and we can communicate through email to take care of all your plans. Thank you. I have just sent an e-mail to them!